Born a wild branch with the wayward name, Savage, I recognized the need for a Savior at an early age. At eleven, I grasped the salvation message as my family attended a church that invited the lost to receive Jesus at the altar every Sunday. Though I had personally met Jesus at eleven, through my preteen and teen years, feelings of rejection by peers and the loneliness of being a latchkey child dominated my thoughts. Believing I could never live up to others expectations of me; I sought out temporary pleasures. During my prodigal season, a good-looking cowboy two-stepped his way into my heart. Eldon’s ingenuity caused my heart to dance and sing in tunes with his music. A few months later, we eloped. Our married began life in a small town six hours from any of our family. Barely knowing one another and not knowing anyone else, we engaged in the honky-tonk social life for pleasure and to make new friends. Nine months later, we learned we were expecting our first child. After our son was born, Eldon proved to be an excellent father and he tended to both of our needs. In spite of having a young baby, we hired babysitters for Friday and Saturday nights to continue the lifestyle we enjoyed before kids. However, this lifestyle began to take a toll on us financially. On our income, we could not both support a household with a child and the party lifestyle. A mountain of credit card debt built up in our lives. Driving into town, we parked at the first church we saw with a steeple rising above the surrounding buildings. After hearing the message and without hesitation, when the pastor called for those who wanted to receive Jesus or rededicate their lives to Him, I moved out of my seat to the altar. 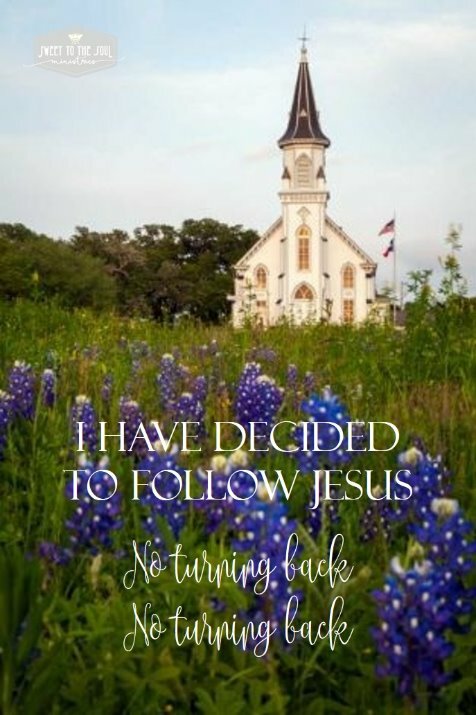 I decided to follow Jesus and have never turned back from Him again. For the past 20 years, I have kept my commitment to follow Him. What about you? Have you made a decision to follow Jesus? Did you start following Him, but life’s desires and distractions took over at some point? My friend, as long as we have breath, it’s never to late to decide to follow Jesus. “Will you decide now to follow Jesus? Today's blog is part of our #SundayHymnBook series. 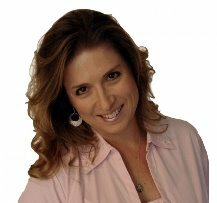 Shonda Savage encourages people to deepen their roots in Jesus with both written and spoken messages. Shonda connects with her audience by sharing her personal tribulations and triumphs with Christ. She frequently ministers to those whose lives have been impacted by incarceration. To learn more about Shonda, visit http://www.shondasavage.com/. Nice to know you are back.